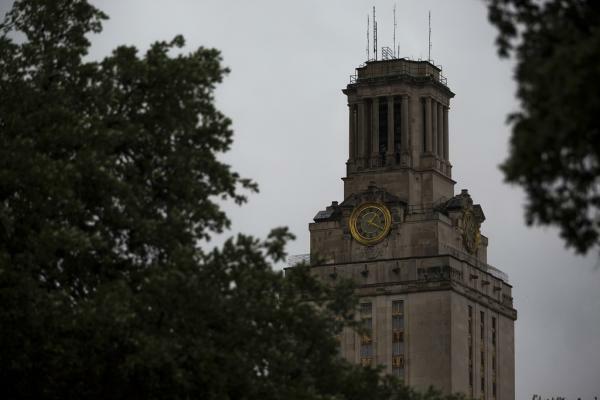 The University of Texas at Austin tower. "There are about 20 or so states right now that have free college or college promise plans that tend to cover community college," Harris says. In Tennessee, for example, recent high school graduates and adults wishing to return to school can receive free community college tuition. Harris says that In 2016, candidate Bernie Sanders advocated for free college, even forcing Hillary Clinton to the left on the issue. Sanders is running again in 2020. California Sen. Kamala Harris is also advocating for debt-free college policies as part of her presidential campaign. In addition to tuition, debt-free college plans often cover costs like books and room and board. "Typically, advocates suggest that debt-free college policies are the more progressive of the policies," Harris says. A proposal by Democrat Sen. Brian Schatz of Hawaii would provide one-to-one federal matching for state-sponsored college assistance programs, which would allow those state programs to go further toward fully funding college. Some presidential candidates have also signed on to that approach, Harris says. "One of the things that free college rests on is not only Democrats winning the presidency but also potentially winning the Senate," Harris says. Republican opposition to free college programs rests on the philosophy of federalism, which concentrates more power at the state and local level, rather than in Washington, Harris says. He also points out that Tennessee, which has a free college program, is a Republican-majority state. "The reason why they're able to do that is that it's a state issue, and it's making an economic argument for the state," Harris says.